Rising sea levels may also affect drinking water. Cities such as Philadelphia and New York obtain drinking water not far from parts of rivers that are salty during droughts. When sea levels rise, saltwater pushes further upstream and may contaminate water supplies. The water in underground natural aquifers, which store freshwater, may also turn saline. Such contamination could have a major effect on drinking water in the Florida Keys and elsewhere. Source: Matthew Heberger et al., Impacts of Sea-Level Rise on the California Coast, Oakland, CA: Pacific Institute, 2009, p. 42. Rising sea levels are only one of the threats facing wetlands. Humans often drain wetlands to create dry land for agriculture and for homes. Because of such development, in the last century more than 60 percent of wetlands worldwide were destroyed, and more than 90 percent in Europe. In addition, global warming itself has a powerful effect: as temperatures rise, some wetlands evaporate. The reduction of wetlands in these ways can have a profound impact on global warming. In the first place, wetlands help soak up excess water during storms, and so might help mitigate increased flooding as sea levels rise. Even more important, the destruction of wetlands may itself contribute to climate change. This is because wetlands "hold massive stores of carbon—about 20 percent of all terrestrial carbon stocks," according to Eugene Turner of Louisiana State University. Wetlands cover only 6 percent of the earth's surface, but they hold as much carbon as is currently contained in the earth's entire atmosphere. Wetlands also contain large stores of methane, a greenhouse gas 21 times more potent than carbon. Destroying wetlands, therefore, releases large stores of greenhouse gases, contributing to global warming—which in turn causes temperatures and sea levels to rise, both of which contribute to the destruction of more wetlands. For all these reasons, many researchers argue that preserving wetlands is a vital part of controlling global warming. After spending so much time and effort draining wetlands, humans now need to figure out how to preserve the remainder, and perhaps even restore some of what has been lost. 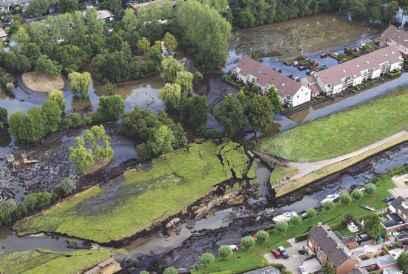 A dike near the town of Wilnis, Netherlands collapsed on August 26, 2003, causing the evacuation of2,000 residents. 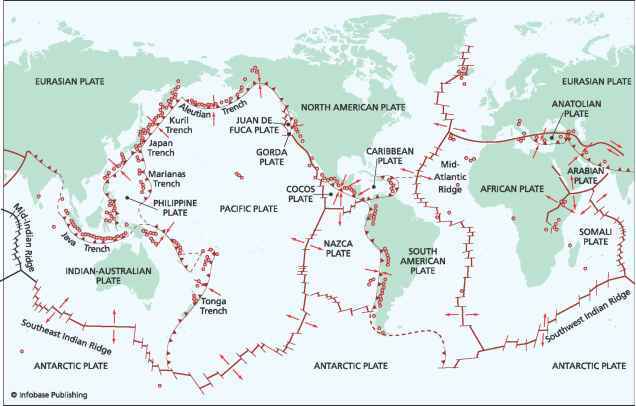 A rise in sea levels could cause similar problems for many low-lying nations. Continental/AFP/Getty Images.